If you’re wondering how to improve your SEO, (search engine optimisation), you’ve come to the right place. As a highly-experienced SEO company, this is something we know all about. There’s no denying that the world of SEO is a tricky one and there are several reasons for that. SEO is a hugely multi-faceted area and doing it well relies on a number of factors which we’ll explore in this article. To understand it, you need to be aware of everything from the way your website is built, to the words you put on the page. And it’s constantly changing, so just as you’ve got to grips with it, there’s a load of new algorithms and procedures to get your head around. Yet unless you keep on top of the game, you’ll soon be left at the bottom of the table. In this article we’ll have a look at some SEO basics to get you started. While we have to point out that there is a lot more to it than we’ll go into here, this will hopefully show you some of the things to be aware of as an absolute minimum. 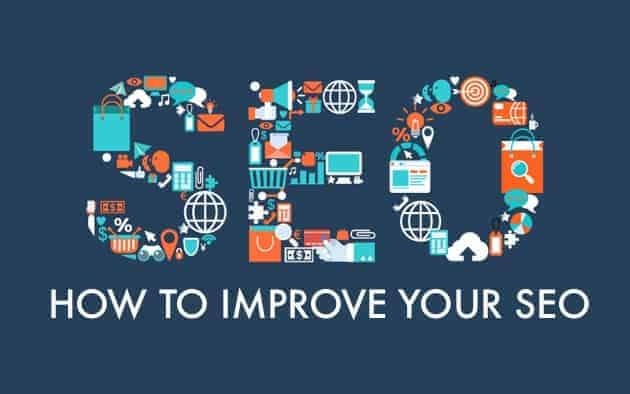 There are several technical factors which affect your SEO and therefore your ranking on Google, which let’s face it, is pretty much all you’re interested in. Your site has to be fast, mobile responsive and technically sound. Without getting too technical, Google will soon be ranking and indexing websites based on the mobile experience, rather than the desktop experience. This is because at the time of writing this blog 68% of people in the UK are now using mobile phones and tablets to browse the internet rather than a PC or Laptop. If your website isn’t mobile responsive, do it now! In July 2018 Google released a new ranking algorithm called ‘speed update’. This algorithm is designed to push slower loading websites further down the search listings. One way to speed up your website is to use a HTTP2 technology. The major difference with HTTP2 is that it can download multiple recourses at once. Think of it like ordering food in a restaurant. HTTP1.1 would be like ordering each item you want individually from a waiter and sending him away to get your burger, then your chips, then your side salad and condiments. HTTP2 is like ordering all those at the same time. Secure Sockets Layer (or Transfer Layer Security) is the backbone of our secure internet and it protects your sensitive information as it travels across the world’s computer networks. SSL is essential for protecting your website, even if it doesn’t handle sensitive information like credit cards. It provides privacy, critical security and data integrity for both your websites and your users’ personal information. Google has been pushing for the entire internet to be secured by SSL since early 2017 when they included it as a ranking signal. It is also essential for HTTP2 to function. It’s also important to keep on top of any technical issues which crop up on your website, including issues that affect things like missing images, broken links, duplicate content and sitemaps. We can’t stress enough how important the content of your website is for SEO. But where content is concerned your best bet is actually to just forget about SEO and focus on the value it brings to your website visitors. Here are our top tips content tips. Good, high-quality content is the main driver for search engine rankings. Search engines are actively looking for content that is interesting, relevant and engaging. You may have the best content ever on your homepage, but you can’t just leave it at that. Make sure you regularly create new content and update existing content. A word of warning though, don’t just create content for content’s sake – make sure it’s relevant. Look out for tips on how to create relevant content in a future blog. You’ve probably heard by now that keyword stuffing is bad and will get you more than a slap on the wrist by Google. However, you do need to include them otherwise Google will have no way of knowing that your article relates to something your potential customer is looking for. If you want to rank for the word ‘SEO company’ you need to include ‘SEO company’ in the content. However, you should find that keywords happen organically if you’re providing relevant content. Make sure your keywords feature in the titles, text, a couple of times throughout the body and in any alternative text tags. You can narrow the field by getting more specific in your keyword terms, ie ‘how to improve SEO using content’. Meta tags are snippets of text that describe a page’s content; the meta tags don’t appear on the page itself, but only in the page’s code. There are two major types of meta tags worth knowing about and we’ll talk about them both here. Title tags are the most important of all of the meta tags discussed here. These tags have a real impact on search rankings and, perhaps just as importantly, are the only tags we’ll discuss here that are visible to the average user. You’ll find them at the top of your browser. This is particularly useful if you want to give the page one primary title for the user but want to clarify or simplify that information for SEO purposes and for the user who’s shuffling multiple tabs on their desktop. It’s important to note that the description tag won’t always show up in the results for a Google search (Google frequently picks a snippet of text from the page itself) but it’s useful in other ways. Google has also stated that keywords in meta descriptions won’t affect your rankings. However, a compelling meta description tag could entice searchers to click through from the SERP to your site, especially if the description includes the keywords they were searching for. Header tags are an important on-page SEO factor because they’re used to communicate to the search engines what your website is about. Search engines recognize the copy in your header tags as more important than the rest. This starts with your h1 and works its way down in importance to the h2, h3 and so on. These tags will help support the overall theme or purpose of your page. You can’t, however, just throw in whatever content you want into these headers. It’s important to utilize your header tags with short-tail and long-tail keywords. As search engines crawl your site, they will pick up on the headers and recognize the keywords you are using as important. Get in touch for your free SEO consultation today if you want to find out more.